The Samsung Gear S2 was revealed and it looks amazing! You are here: GeekSays Technology News » Smartwatch News » Samsung Gear » The Samsung Gear S2 was revealed and it looks amazing! After a long wait and a couple of very interesting teasers, it was finally revealed: Samsung Gear S2, the manufacturer’s first smartwatch with a round display it’s an absolutely gorgeous piece of tech and we’re more than positive that it will be a success. The smartwatch comes in a two variants, one with a more sporty look and a gray finish, while the second is perfect for those who like a more elegant style. The dark gray variant comes with a matching leather band and it’s perfect for a classy outfit. Measuring just 11.4 mm in thickness, the Samsung Gear S2 is pretty much one of the thinnest wearables on the market. Also, if you don’t mind wearing a heavier watch, you can also opt for a 3G version, which, using an eSIM card, allows you to make phone calls directly from your watch. The main attraction of this smartwatch is the rotating bezel, which will give you full controls over the device. There aren’t not buttons, so this is the only way you can navigate through apps. It might be a bit hard to get used to it at the beginning, though. 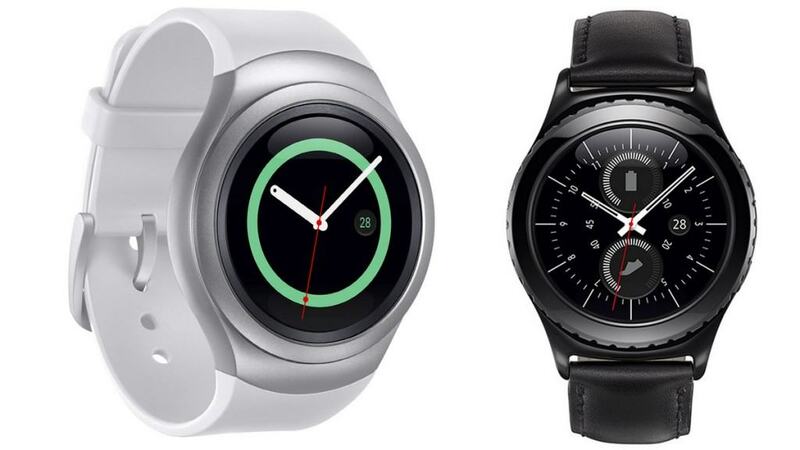 Spec-wise, the Samsung Gear S2 features a 1.2″ display, with a resolution of 360×360, which might be a bit small, considering that previous leaks were pointing to a 1.65″ wearable. It’s powered by a 1 GHz dual-core processor and it also features NFC, allowing you to make mobile payments, according to Engadget. Finally, as you probably noticed, the name ‘Galaxy’ is missing, meaning that this watch relies on Tizen, Samsung’s very own operating system. The pricing and the availability date weren’t announced yet, but we’re looking forward to seeing more details these days, at IFA 2015. So, any first impressions about the Samsung Gear S2? Which one would you pick, the regular or the classic one?